You might think Harry Potter as The Villain this way again. It was created by comedy YouTube Channel BloodBlitz Comedy, video link title: If Harry Potter was the Villain. As of this moment, it has 800k views. BloodBlitz's Harry Potter: The Boy Who Kills (It might sound pretty scary), it was edited cleverly and has a creepy sound effects too. If you will watch it, you will never look at Harry the same way again. 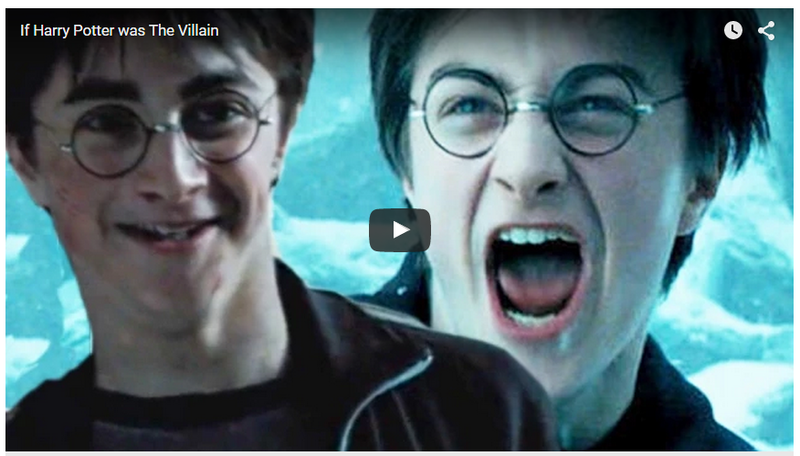 It's awesome to note that Harry potter will be a villain, kinda scary though!